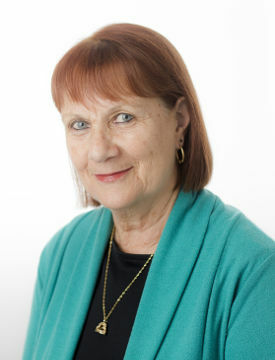 Betty has over 30 years experience in the community sector, most recently as Deputy CEO of The Fred Hollows Foundation. She has worked in community legal centres and women’s refuges, been the Executive Director of ACOSS (the national advocacy body for low income and disadvantaged people), and Vice-President of ACFID (the peak body for international aid agencies). Her activism around the rights of refugees and migrants started in the early 1980s. Clare has had a long career in the government, community and media sectors. She was the Energy & Water Ombudsman NSW for over 16 years and prior to that was a Senior Assistant Commonwealth Ombudsman. Clare is a Board member of Energy Consumers Australia and City West Housing. She is Customer Advocate (Wealth) for NAB, a Commissioner for the NSW Greyhound Welfare and Integrity Commission, and Chair of the Code of Conduct Committee of the Australian Council for International Development. Clare has served on a range of NSW and Commonwealth government advisory bodies as well as the boards of community groups, including ACOSS and Performance Space. Mary Reemst is the Managing Director and CEO of Macquarie Bank Limited. Before being appointed to this position in 2014, Mary was the Head of Credit in the Risk Management Group for 11 years. Prior to this she worked in the infrastructure groups of Macquarie Group and before that Bankers Trust Australia. She has spent over 30 years in the finance industry. Mary is a Director of the Australian Bankers Association, the Australian Financial Markets Association, the Financial Markets Foundation for Children and Sisters of Charity Foundation. Marina arrived to Australia as a refugee from the Former Yugoslavia. Her personal experience compelled her to study a Bachelor of Laws/Bachelor of International Studies at the University of Technology, Sydney, from where she graduated in 2012. She currently holds the position of Head of Corporate and Private Clients at Playfair Visa & Migration Services, where she practices as a Solicitor and Registered Migration Agent. Together with her corporate experience, Marina has acted on cases in human trafficking with Anti-Slavery Australia, and on behalf of people seeking asylum in Australia and offshore. Quite separately from her professional work, Marina co-founded the Aspire Motivate Believe Foundation which assists students from an asylum seeker/ refugee background meet the practical costs associated with pursuing their education. Marina was named the 2015 Young Migration Lawyer of the Year; the 2015 Woman Lawyer of the Year – Up Coming; and a “Woman of Influence” 2016. Rebecca Lowde is currently the CEO of Salmat Limited. She was appointed in June 2017 following three years as the CFO. Rebecca has an extensive background in managing finance, contracts, strategy, mergers and acquisitions, budgeting and sales, and has a proven track record managing large, multi-cultural teams from around the world including the European and Asia Pacific regions. Rebecca has more than 25 years of experience in finance and international operations and has held senior executive positions in Australia, Europe and Asia for businesses including Bravura Solutions, Business Objects, Lexmark and Oracle. 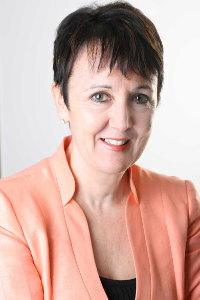 Rebecca holds a Bachelor of Business in Accounting and Computer Science and is a member of the Australian Institute of Company Directors and CPA Australia. Graham has visited detention centres and refugee camps in Australia and throughout the region. He has previously chaired the NSW Asylum Seeker Interagency. In 2013, Graham undertook research on policies relating to the resettlement of vulnerable children, including unaccompanied minors. His research involved travelling to Indonesia, Kenya and Jordan and culminated in the University of Sydney and Amnesty International Australia report – Removing the Stumbling Blocks: Ways to Use Resettlement More Effectively to Protect Vulnerable Refugee Minors (2014). Om Dhungel, formerly a refugee from Bhutan, brings to the Centre a diverse range of board management, community development and volunteering experience. He is a consultant and practitioner of a strength-based approach to refugee settlement and community development. Om has served as a director on the boards of Settlement Services International (SSI), SydWest Multicultural Services and MTC Australia. He is the founding president and currently a senior advisor of the Association of Bhutanese in Australia, a recipient of the 2017 University of Technology Sydney (UTS) International Alumni Award, 2016 Community Service Lifetime Achievement Award and 2012 National Volunteer Award, amongst many other accomplishments. Having experienced the life of a refugee and seen stars rising from those refugee camps, Om strongly believes that “no matter where you grew up or what your past circumstances were, you can choose and work towards where you want to be in the future”. Celia Reynolds has been with the Lend Lease Group for 18 years in various Finance roles across a number of businesses, including extended secondments in both London and New York. In her current role as Group Head of Internal Audit she leads an international team across Lend Lease’s four main offices globally. From leading investigations to assisting in the implementation of anti-bribery and corruption processes to general operational project reviews, this role has allowed Celia to develop both operational and commercial skills across the property and infrastructure spectrum. Celia commenced her career within the Lend Lease Building business on the Lend Lease Finance Development Program. She completed a double degree Bachelor of Economics/Bachelor of Commerce at the ANU and later completed her CPA. Celia currently holds a non-executive director position on the Global Compact Network Australia Ltd of which Lend Lease is a member.